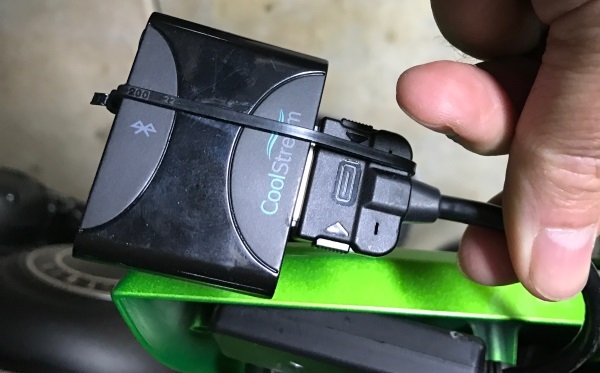 Yes, the Kawasaki Vulcan with the Kawasaki K10400-040 iPod kit works with the CoolStream Duo. 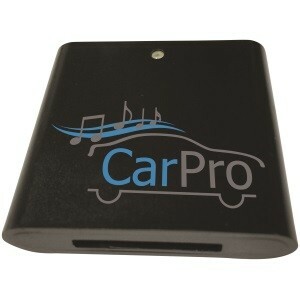 The Duo plugs into the 30 Pin iPod connector of the K-10400-040 and gives you Bluetooth streaming to the Kawasaki stereo. 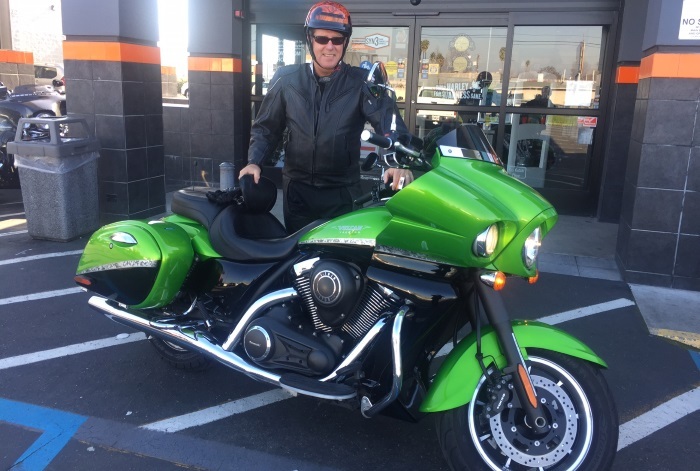 This setup will work for Kawasaki Vulcan Nomad / Voyager/ Vaquero models. The CoolStream Duo works with all iPhone models and Android phones. Once you pair your iPhone or Android to the CoolStream Duo, you can stream music or Podcasts. The Duo will power on when you start the Kawasaki’s engine and automatically re-connect to your phone. The Duo does NOT support the handlebar controls for song forward or song back. Also there is NO support for song or artist display. The volume button on the handlebars will work. For more information about compatible (and non-compatible) cars, check out the Car Compatibility page.